Where can I buy food? Where are the toilets located? The Accra Cookout will feature more than a dozen eclectic food options from 10am both days. This international food bazaar is located inside Mantse Agbonaa [across from the Light House]. Toilets are located at both ends of the festival at the following locations: 1) left side of Mantse Agbonaa 2) Public toilet facilities at James Town Beach down from the Light House and 3) between Ussher Fort and the old Kings Way building. For the second year in a row, CHALE WOTE is a two-day event. The festival will take place on Saturday, August 23rd and Sunday, August 24th from 10am-9pm. The festival is free and open to the public. What sort of activities will take place? CHALE WOTE 2014 will be a playground to experience many, awesome art forms. The theme for this year’s festival is Death: An Eternal Dream into Limitless Rebirth. We are evaluating Accra as a space station, a portal with the potential to rebirth new histories, possibilities, hopes and desires. We will exhibit art works that remodel our perceptions and interactions with design in public spaces. How does the transition of life [i.e. death] reform into passages leading to different lives [i.e. rebirth]? With this, we envision rehabilitating popular perceptions about death and the afterlife with street painting, graffiti murals, live music performances, dance flash mobs, a fashion circus, extreme sport stunting, experimental theater, spoken word, a two-day film festival and digital art exhibition, a fashion and food market, historical walking tours, a pocket park, art workshops, visual art installations and much more. What are the main attractions this year? 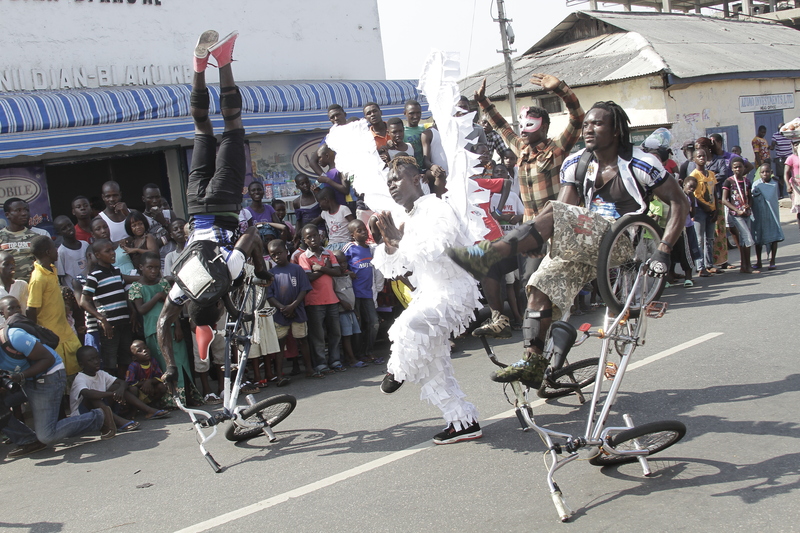 More than 150 Accra-based artists are taking part in this year’s two-day festival. The Fashion Marketplace – fashion vendors, street fashion circus, photo exhibitions and portrait galleries by Ofoe Amegavie and Afro District. Also, check out visual and performing art installations by visiting artists – from Spain, Burkina Faso and the U.K. – and more than 20 cutting edge exhibitions by Ghanaian artists. Do I have to pay for any activities? 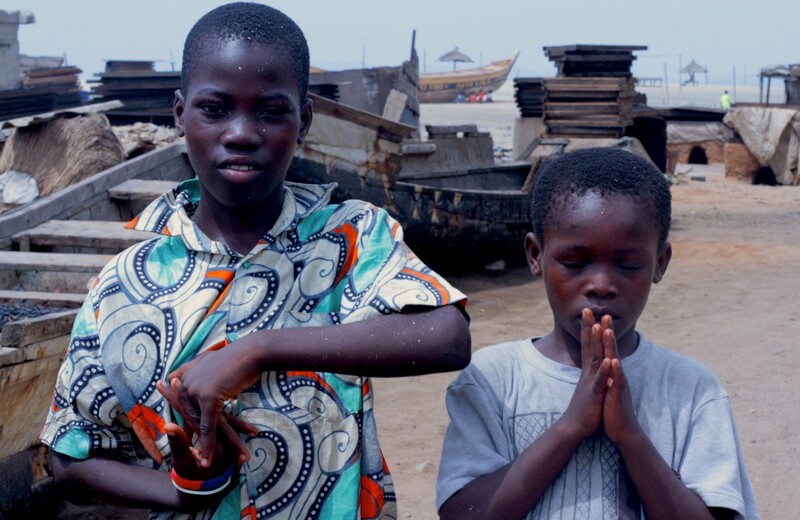 CHALE WOTE 2013 is a free event. Purchases can be made from a wide array of food, drink and fashion options available in The Accra Cookout and Oblatsoobi Market [from Mantse Agbonaa down High Street to the Sempe Mantse Palace forecourt]. The ACCRA Walking Tour: Ga Mashie is a one-hour tour that leaves at the top of every hour [across from Mantse Agbonaa]. This tour offers three  route options throughout historical James Town for 10ghc a person. Will there be appropriate activities for children? We are hosting a smaller festival just for youth [between the ages of 8 and 15] at GAMADA [three buildings to the right of the Light House]. This compound will be transformed into The Ga Mashie Flight School for Young Storytellers, an interactive youth zone to experience painting, mural installation, azonto dance theater, hip hop performance, a film festival, improv theater, back yard games and more. The Ga Mashie Flight School for Young Storytellers operates on both days of the festival between the hours of 10am – 6pm. Since the day is programmed into a full circuit of activities, we suggest youth arrive between 9-10am to register [free]. Lunch will be provided. Will the same activities be held on both days? Each day will feature common and different activities [please refer to the festival program schedule for more information]. Saturday, August 23rd will showcase the exciting construction of the visual art across the festival as we transition into new characters taking part in this evolving story called CHALE WOTE 2014 [death]. Sunday, August 24th will allow patrons to stroll through and enjoy the gallery of visual works that were created the previous day [rebirth]. There will be live music and street performances taking place on both days of the festival. For more information, email accra.alt@gmail.com. This entry was posted in Afro-Futurism, Bar/Restaurant, Black History, Chale Wote Street Art Festival, Cultural Workshops, Dance, Education, Fashion, Festival, Food, FOTO VIM, Ghana, Markets, Music, Nature, New Music, Party, Photography, Spoken Word, Street Style, Style, Theatre, Uncategorized, Village Beat, Visual Art, West African Spirituality and tagged Accra, Africa, Answers, art, artists, Chale Wote Street Art Festival, fashion, FCA Ghana, food, High Street, Information Sheet, James Town, photography, Questions by Accradotalt. Bookmark the permalink. The call is put out 4 months before the festival every year.